Whether you are looking for casement windows, storm-pattern windows, single and double glazing, or sliding sash windows, turn to Rawlings Joinery. We manufacture all types of windows to the highest specifications, including windows for listed building or modern properties. What’s more, we are also able to provide like-for-like windows using our traditional methods and modern machinery. We ensure that your new windows are sympathetic to the aesthetic appeal of your property. As a bespoke manufacturer, we are not held to specific designs, meaning we are able to offer a wide range of options for window styles, ironmongery, and both wood and paint finishes. All of our windows are fully draughtproof and take into account the need for weatherproofing, thermal performance, and security. 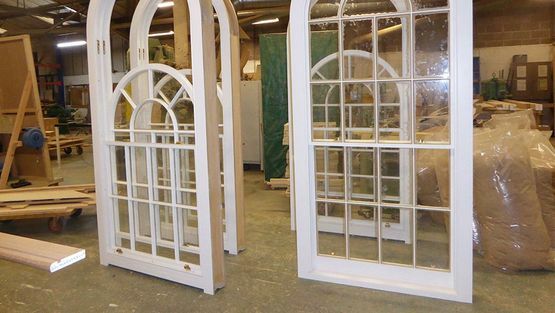 Whether you require windows in a traditional style, or something more unusual, Rawlings Joinery manufactures and fits the bespoke windows that you need. From a single window to multiple orders, we expertly make every product by hand in our workshop. Contact us now for further information about our windows and double glazing.